Quality Advice. We must always deliver the highest quality audit, tax, accounting and consulting services. We must be committed to professional development throughout our careers in order to maintain the highest level of technical ability. Responsiveness. We must be responsive to our clients’ needs on a timely and cost-efficient basis. We are committed to being unsurpassed in the areas of responsive and timely service. Knowledge. We must understand the fundamentals of each client’s business and their individual philosophies and strategies so that our accounting and consulting services will be useful and on target. We maintain an extensive library and research database to assist our professionals in performing at the highest level possible. Communication. To be effective in providing accounting and consulting services to our clients, we must be good communicators. We educate our professionals about the importance of presenting practical and profit-oriented conclusions in rendering advice to clients. Concern for Clients. A public accountant cannot be effective unless he or she first cares about the client. We expect our professionals always to be sensitive to the needs and best interests of our clients. A client will not care about us until we have first cared about the client. Team Approach. 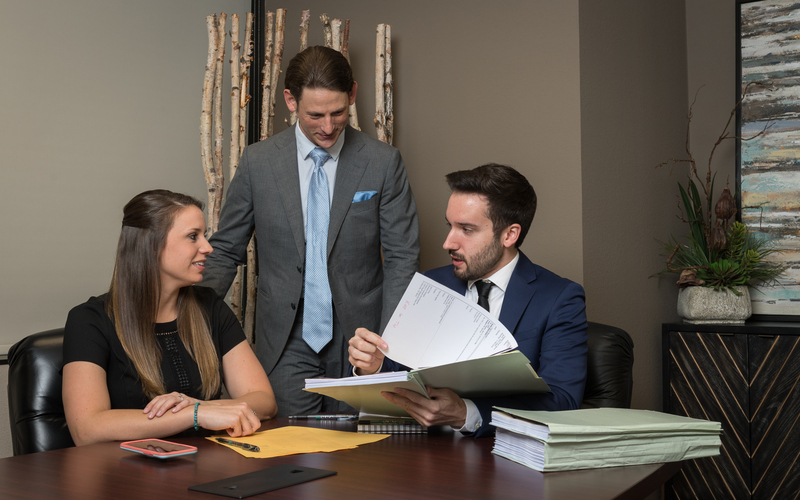 Our firm is committed to the team approach in client service. Each of us is expected to help staff in our firm and other professionals serving the client in order to service our clients with the highest quality services to the best of our abilities. Community Spirit. Our professionals are committed to being involved in our local communities. Our professionals contribute through civic and charitable activities that meet a wide range of needs.